Wendell Park Gardening Friends (WPGF) was formed in August 2017 in conjunction with the London Borough of Hammersmith and Fulham, as an independent local voluntary group, with the purpose of improving and diversifying the planting for the enjoyment of all, in our much loved community asset, Wendell Park. Wendell Park is a well loved and much used park situated off the Askew Rd in the busy urban area of Shepherd’s Bush W12. It is at the intersection of Cobbold , Gayford, Wendell and Hartswood roads. 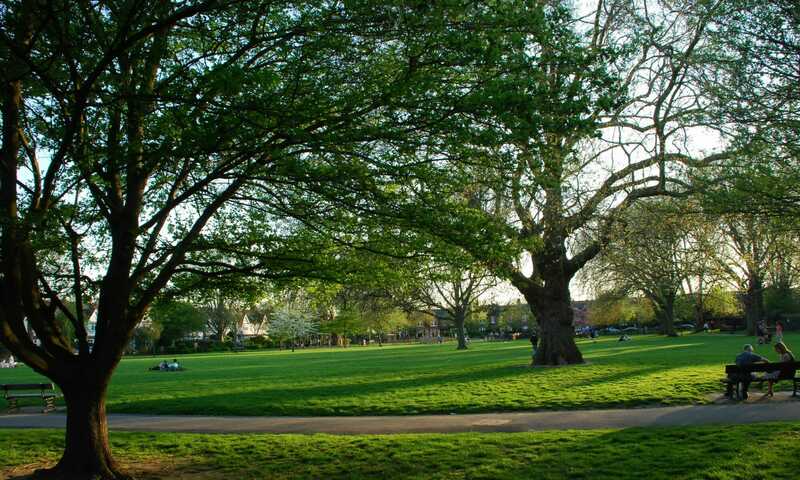 Its mature trees, large borders and green areas provide a slice of nature and a breath of fresh air amid the hustle and bustle of West London. The park offers a central lawn area, perfect for kicking a ball, exercising your dog, having a sports day or just enjoying a family picnic on a sunny day. The well equipped zoned-off playground is a wonderful space for young children to run and play in safety. The park has a good sized dedicated dog zone as well as a fenced off dog-free zone with table and benches, opposite the playground. There are many more benches along the path that circumambulates the central green area for those wanting to relax, have a quiet lunch or simply contemplate the world.